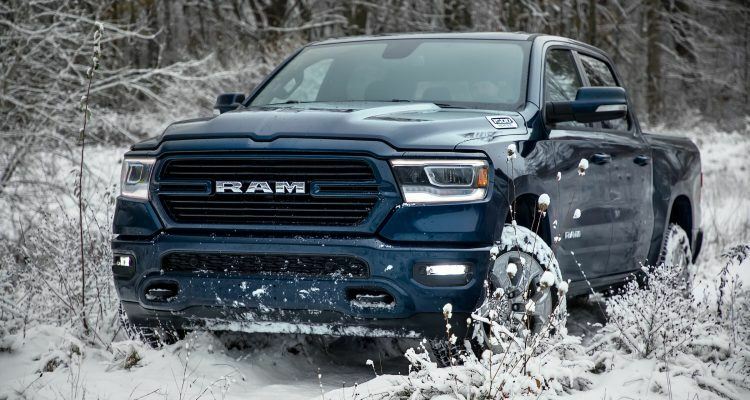 The 2019 Ram 1500 North Edition takes it to Old Man Winter. Goodies include a one-inch factory lift and locking differential. Ram’s special edition lineup has seen multiple new entries over the last year. Pick your poison Mopar fans! The Hydro Blue Sport, Lone Star Edition, Heavy Duty Night Editions; even a Kentucky Derby Edition. More recently, the 1500 Rebel 12 and 2500 Power Wagon Mojave Sand Editions come to mind. Ram is stacking the deck with special edition trucks and they are adding another to the mix. Ram’s special edition blast (as it were) is not without sound reason or intent. Think of it like this: trucks sell in droves and that trend will continue for the foreseeable future. With so many on the road, driving one with a special edition theme says I’m part of the crowd – but – in my own individual way. Ram has plenty of that in their lineup today. And it’s especially alluring. Related: Ram tops GM in sales for the time being. Concerning the 1500 North Edition, it’s more than just looks – although it is that too. Based on the Big Horn, the North’s monochromatic theme includes the body-color bumpers, door handles, mirrors, and grille. But underneath the skin, the bones are solid. 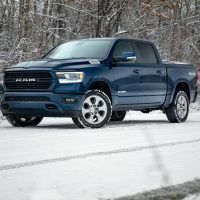 The 2019 Ram 1500 North Edition features a one-inch factory lift, an electric-locking rear axle, and front tow hooks. Photo: FCA US LLC. Those Tires Though . . . The all-weather tries are three-peak mountain snowflake (3PMSF), severe snow service-rated on/off-road Falken LT tires. Say that three times fast! Three is the magic number, however, for the transfer case, which has three different settings: Auto, High, and Low. Ram added an engine block heater too, for those early mornings after the truck sits facing a north wind all night. 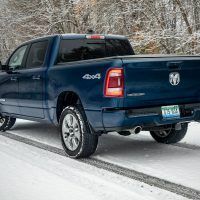 Related: Simple but effective: Our full review of the 2019 Ram 1500 Tradesman. Plenty of warmth inside with a heated steering wheel and the heated, 12-way power driver’s seat with four-way power lumbar. SiriusXM Travel Link Weather, heated and folding mirrors, and Mopar all-weather floor mats are included. 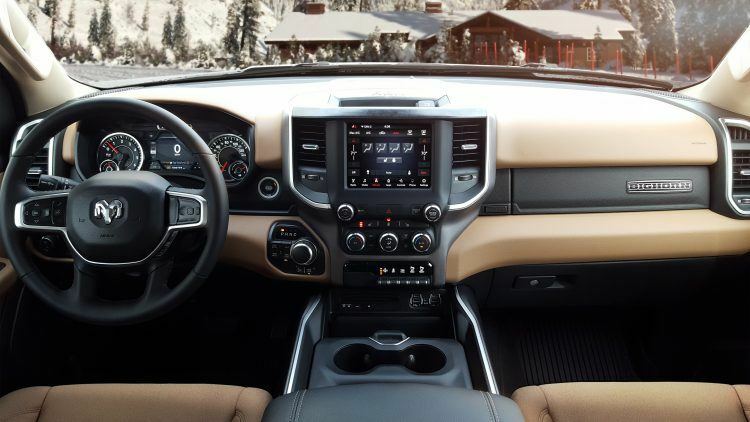 2019 Ram 1500 North Edition interior layout. Photo: FCA US LLC. The North’s 3.6-liter Pentastar with eTorque creates 305 horsepower and 269 lb-ft. of torque, and features revised variable valve timing and two-step variable valve lift systems. By comparison, the larger 5.7-liter Hemi creates 395 horsepower and 410 lb-ft. of torque. Both engines have Interactive Deceleration Fuel Shut Off (iDFSO), which pauses fuel flow to the cylinders under deceleration in third gear and higher. 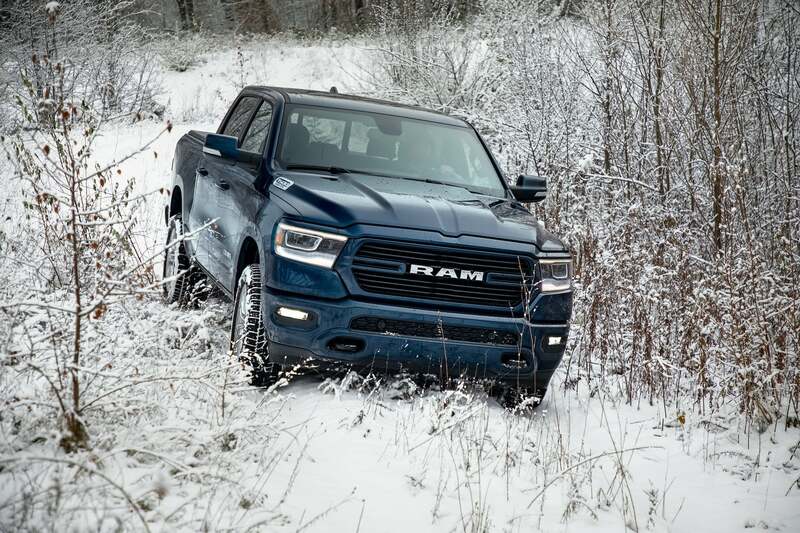 Every 2019 Ram 1500 – including the North Edition – is equipped with a fully-electronic TorqueFlite eight-speed automatic. The transmission features a wide spread of gear ratios to balance power and efficiency. The engine choice is ultimately up to you. 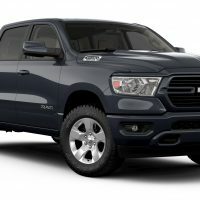 The 2019 Ram 1500 North Edition is available now with a starting MSRP of $47,585. The truck comes in Crew Cab 4×4 with either a short or long bed. 1 Comment on "Ram 1500 North Edition: Over The River & Through The Woods (Literally)"
2019 RAM 1500 is an all weather car with all-weather tires. This is the type of car that makes you feel secure in an insecure world. If you drive on difficult roads like me, then this is what you need.